Plants vary substantially in their quality as food for herbivores. The availability of proteins, fats, and carbohydrates differ markedly from one plant species to the next. Moreover, plants contain a dazzling array of “secondary metabolites” that are often toxic to consumers. However, in low doses, plant toxins can also serve as medicines, protecting herbivores from agents of disease. Like humans, many other animals exploit the natural pharmaceuticals in plants to mitigate the effects of parasite infection. This lecture will explore the ecology and evolution of medication behaviors in animals. As herbivores forage for food, they must manage the competing demands of gaining adequate nutrition, avoiding their predators, and choosing appropriate medicines from the Great Green Pharmacy. Medication behaviors can be therapeutic, in which medicines are consumed only after infection, or prophylactic, in which medicines are consumed prior to infection. Medication behaviors can also serve to protect the individual actor (self-medication) or their relatives (kin or social medication). Examples will show how different ecological conditions favor the evolution of different medication behaviors. Concentrations of toxins in plants also vary substantially based on environmental conditions, including soil quality, air quality, and biotic interactions. Therefore, the forces of global environmental change threaten the pharmaceutical use of plants by animals. Conservation of the Great Green Pharmacy is vitally important to the biological diversity of life on Earth. Mark Hunter is the Earl E. Werner Distinguished University Professor of Ecology and Evolutionary Biology at the University of Michigan. He received his bachelor’s and doctoral degrees from the University of Oxford in England. After serving as a NATO International Fellow and an NSERC International Fellow, he joined the faculty of the University of Georgia, where he served as Professor in the Institute of Ecology and as founding Director of the Center for Biodiversity and Ecosystem Processes. He joined the University of Michigan in January 2006. His research interests include plant-animal interactions, ecosystem ecology, biodiversity, and population dynamics. Professor Hunter has published over 150 research articles and written or edited six books. 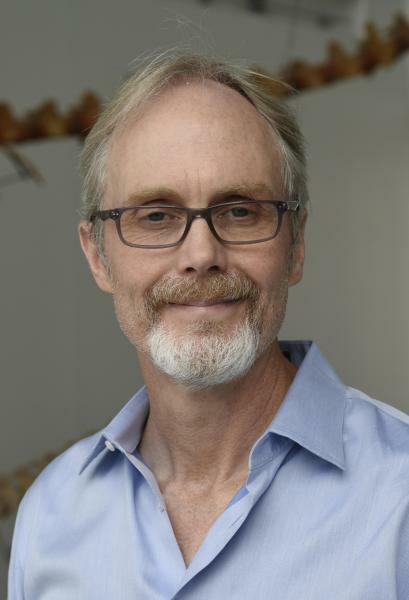 He is the recipient of both a CAREER Award and an OPUS award from the National Science Foundation, and in 2014 was elected a Fellow of the Ecological Society of America.